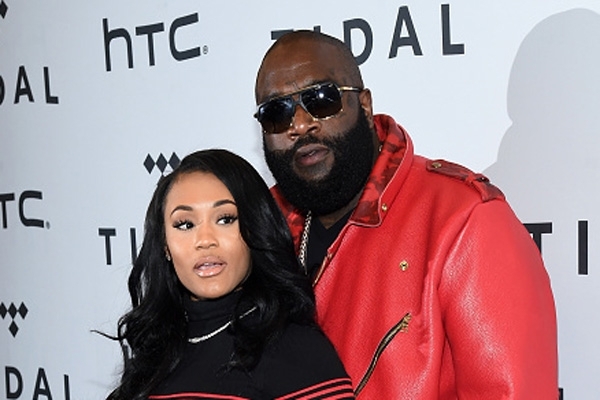 In an interview with Global Grind, 22 year old Lira Galore who was engaged to rapper, Rick Ross, confirmed that she's no longer with him. She said they decided to go their separate ways. According to Lira, Rozay was the first famous person she'd ever been involved with, and it was also the first time she'd been in love. "This was my first time in a public relationship, so I was happy about putting it out there," she said while speaking to Global Grind. "But people on social media don't like to see that type of stuff, so they dug up old stuff that didn't matter." Later in the interview, Lira confirmed she and Ross actually did split a while back but eventually reunited. The reason for the initial break up? It had to do with a photo people kept posting of Galore and Meek Mill. "I'm not worried about the picture with Meek," stated Lira. "It was just a picture that I posted on my Instagram. I was at work. I used to dance, and it was just a picture. I think the initial breakup was a combination of everything from people digging up tweets when I was 17 years old tweeting about different people, to the picture of Meek." "Everybody just kept posting it and I felt like as a man, he just couldn't handle it when it was just nothing. I feel like during that time apart he realized he was tripping, so we got back together," she added. "We just decided to go our separate ways," explained the popular model. "I'm 22 and this was my first time in love, and I put it out there. I'm still in love with him, but some things don't go as you would like them to go."